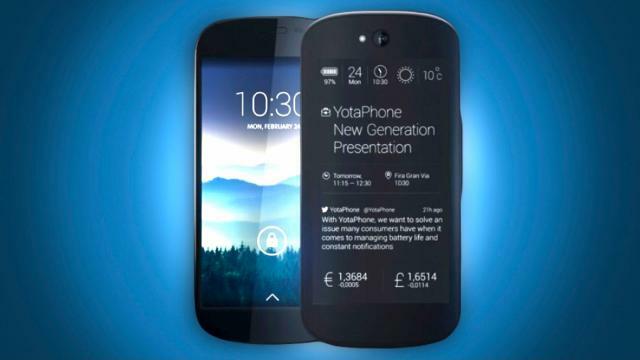 Remember the YotaPhone 2, the dual-screened smartphone resulted from one of the most successful Indiegogo campaigns? Well, if you’re living in the United Stated and you were planning to get one, we might have some bad news for you. Apparently, the Russian company had some issues with their manufacturing partners, as the logistics of the release of the phone in the US was not feasible by any chance, according to The Next Digit. To make things simpler, the North American version of the YotaPhone 2 would’ve taken too much to reach consumers, interfering with the company;s plans for 2016. To be more specific, they would have received the phone too late, when other markets would get its successor. And yes, a third generation will be introduced next year, but that’s another story. You do have options, though! As for the US-based backers, who were still expecting to receive their YotaPhone 2, despite numerous delays, they still have two options: a refund or receive the global version of the phone. The latter might seem a good option, but it does not offer support for LTE in the United States, so whoever goes for this will have to get used with HSPA+ service, for AT&T & T-Mobile. Still, the above mentions source that Yota is looking forward to fixing this issues, by searching for new partners in manufacturers. What makes the YotaPhone 2 so special was the dual display setup, with an e-ink panel on the back of the phone, perfect for those moments when you don’t have much battery left but still need to use your smartphone. Or if you prefer reading on an e-ink display, that is! The phone is powered by Google’s mobile operating system, Android, and has a starting price of $500. Their Indiegogo campaign ended on July 26 and was a great success, raising almost $300.000.